The ascent to Bessyboot is not always obvious; the ground is covered in hummocks, and there is no reliable path. 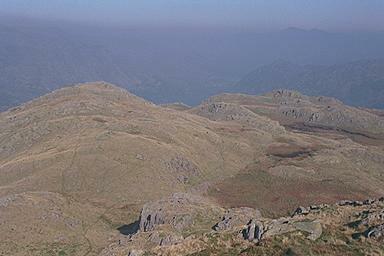 It is necessary to find a way between several apparent summits such as High Knott, on the left here, to reach it. Larger version of this picture.